Kaiba Gionfriddo was six weeks old when he turned blue because his lungs weren’t getting enough oxygen. He was diagnosed with a terminal form of tracheobronchomalacia, a medical condition that causes the windpipe to periodically collapse and prevents normal breathing. With no cure and a low life expectancy, doctors told his mother April he may not make it out of the hospital alive. 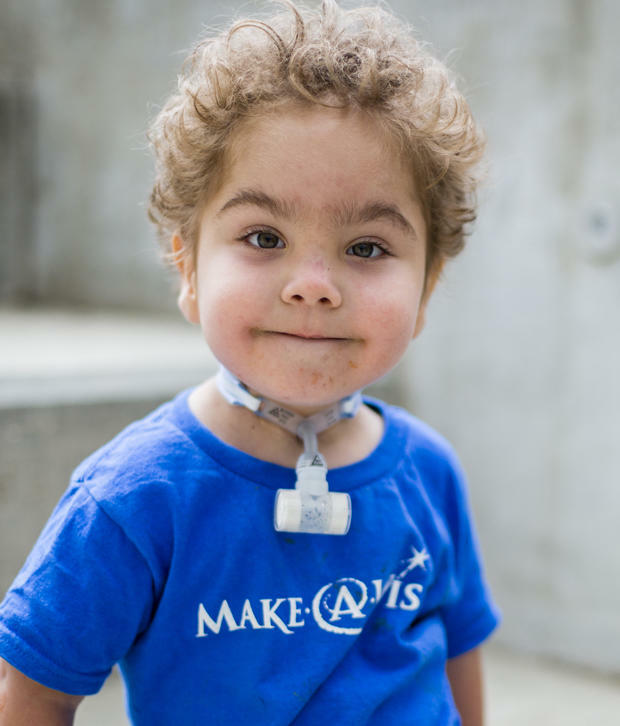 Kaiba was one of the three babies who became the first in the world to receive 3D-printed devices that helped keep their airways open so they could breathe properly, thus saving their lives. “These cases broke new ground for us because we were able to use 3D printing to design a device that successfully restored patients’ breathing through a procedure that had never been done before,” Glenn Green, MD, an associate professor of pediatric otolaryngology at the University of Michigan’s C.S. Mott Children’s Hospital, said in a statement. 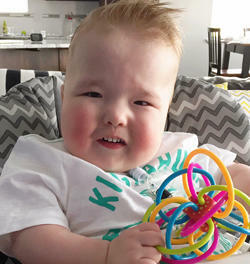 Ian Orbich’s condition was so grave that his heart stopped before he was even six months old. He received a customized 3D-printed splint and is now doing well at the age of 17 months. Green and his colleagues received emergency clearance from the FDA to do the procedures. While these three cases appear to be a huge success, the doctors noted that this technology will take time to put into widespread practice. “The potential of 3D-printed medical devices to improve outcomes for patients is clear, but we need more data to implement this procedure in medical practice,” Green said. The authors also acknowledge that potential complications of the procedure may not yet be evident.